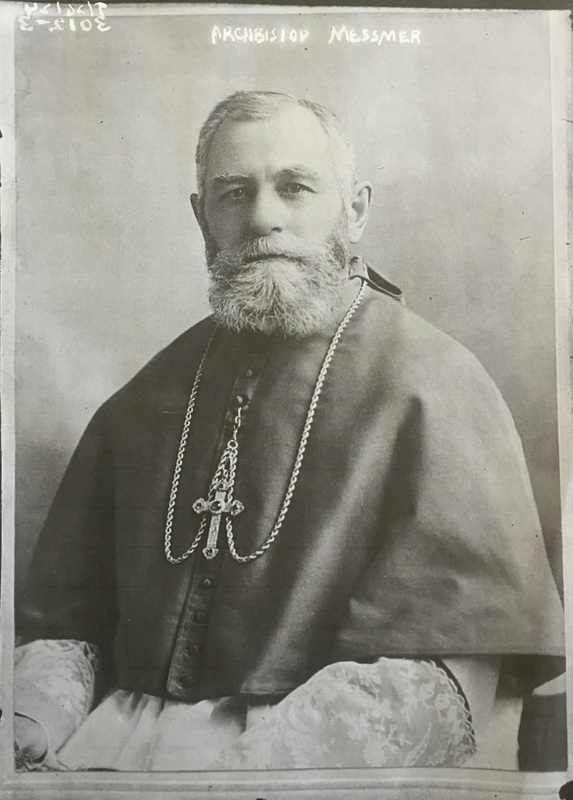 It was on November 4, 1920 when the vision of Milwaukee ’s fourth Archbishop, Sebastian Messmer, and members of the local St. Vincent de Paul Society, to establish a home for boys who were under the jurisdiction of the Juvenile Court and in need of corrective training came to fruition with the founding of St. Charles Boy’s Home. The actual dedication ceremony for St. Charles took place May 8, 1921 and was conducted by Archbishop Messmer. The ceremony included addresses by Charles Knoernschild and Milwaukee County Judge M.S. Sheridan and several thousand citizens toured the Home. From 1922 until 1928, Fr. Edward Hertel served as chaplain of St. Charles which operated as a non-sectarian institution until September 1, 1928 when, at the request of Archbishop Messmer, and to fulfill the wish of Charles Knoernschild (who had died June 9, 1927), the Congregation of Holy Cross at Notre Dame assumed management of St. Charles. The Holy Cross order was selected because of its previous success in similar work and the high educational standards at Holy Cross schools, including the University of Notre Dame (South Bend, IN) and Portland University (Portland, OR).